Apples are red, Maggi is yellow. The mob is furiously fickle, and a clarion it bellows. Is lead in food and wax on fruits bad for us? Like, really? Recently, a batch of Nestle India's Maggi Noodles was found to have lead concentrations way over the safety mark. Along with it, it was found to contain MSG (Monosoduim Glucamate), an abundantly occurring Non-Essential Amino Acid. There is lack of consensus in the research community over the side effects of overdose of MSG causing problems (like constipation and headaches) generally referred to as Chinese Restaurant Syndrome. Some dieticians insist that the naturally occurring ones, like those in tomatoes, are harmless, while the ones that manufacturers use, the synthetic ones produced from yeasts and family are not. That makes me wonder, what difference does it make if the chemical compound is synthetically manufactured or naturally occurring, as long as its molecular structure remains the same! It can only be the presence of other coexisting substances with the naturally occurring MSGs which could perhaps alter the way it is taken up by the body (acting as catalysts, or as other ingredients to the reaction). So, I find the claims by dieticians asinine (makes me want to disbelieve whatever they say). What would I do? Well, if it occurs naturally in tomatoes, I’ll have tomatoes, I was never a big fan of maggi or noodles to start with. But for the lovers of maggi, everything is bad when taken in excess, what remains to be found is, where does the excess start! Back to lead! So, we all know that lead is poisonous for our body. Everybody says that, but why? Even here, we do not know exactly why, except that we all agree to the ill effects that it manifests. 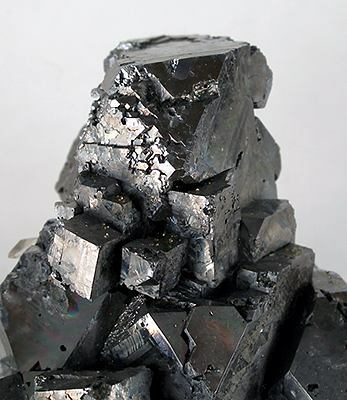 Lead is poisonous, and so is mercury (I have had dental fillings of amalgam which is an alloy of mercury and dentists are now discouraged to fill it in for ‘in excess’ mercury can cause a host of neurological problems, like lead). But it is being studied and we are beginning to see why it does what it does. Lead is useless for the body, but lead is an eager beaver. It can cling on to places where other essential elements like Potassium and Sodium should have been, and sits there, thus inhibiting the processes which would have followed had the reaction proceeded the way it has been honed by evolutionary biological processes which sustain us. And impaired body function is the beginning of trouble. It does not pass either, it is not consumed by the body, and thus, it will accrue and cause problems. So, why not eliminate it completely? Because we can’t, so far. What we can do, however, is limit its intake through strict and controlled industrial processes and if a company is found to flout the rules, it must face the music. That reminds me of a recent Facebook status which burgeoned this thought chain in the first place. It said that apples are wax coated, maggi has lead and air in Delhi is poisonous. And because I was eating an apple at that time, I wondered if having wax on apple is a bad thing at all. So, I practiced some Google-fu and found that, it might not be a bad thing, but a good thing after all. Naturally occurring apples have a natural wax coat on them. Not just apples, many fruits have it. This wax serves the function of preserving the inner water content and nutrition by acting as a membrane. So, when one plucks an apple from the tree, it seldom is shiny and bright, but only upon rubbing it clean does it shine. That is because by rubbing it, we remove the wax coating. But if we let it be, the life of the plucked apple would be very limited. So, we have industrial food grade wax coated on it (and even two drops of this wax is enough to coat an apple) to supplement the function of the original wax which was removed while cleaning and packing the apples. This wax is a consumable product and can be safely consumed (our body will pass it out). The wax usually serves two purposes, firstly, it increases shelf-life of apples, and secondly, increases appeal. Though I cannot vouch for the processes that small scale industry packers employ (whether they use the Drug Administration approved waxes or not) in India, but for the sake of eating apples, I am going to take the bait that they do, and eat the apple whole because its peel is a powerful non-soluble fibre which helps tone the GI tract. How do you tell if it has wax on? Just take a knife and scratch the surface! However, given an option, I’d stick to nature fresh fruits, but that would be either too costly or totally unfeasible when living in a metro.